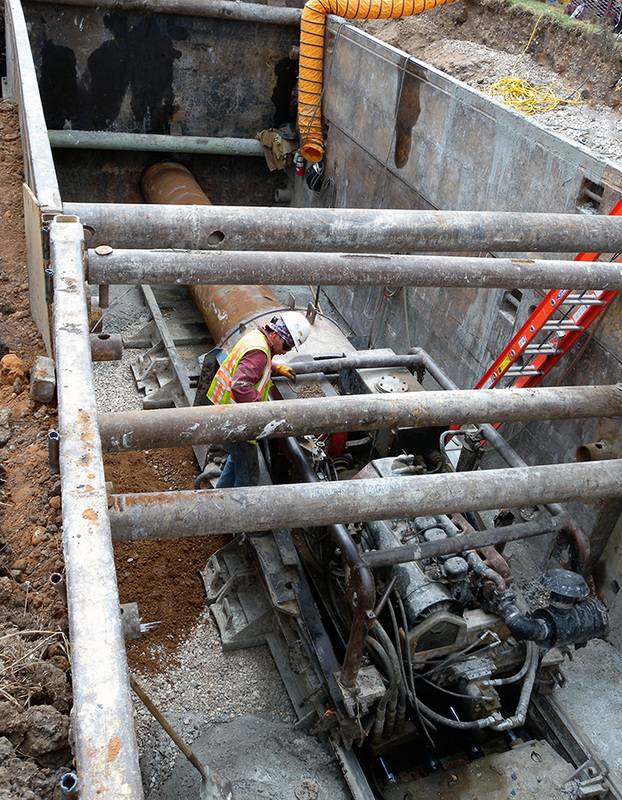 KFA was tasked with providing a route analysis, preliminary design, final design, and bid and construction phase services for the ABIA Reclaimed Water Pipeline Extension project. 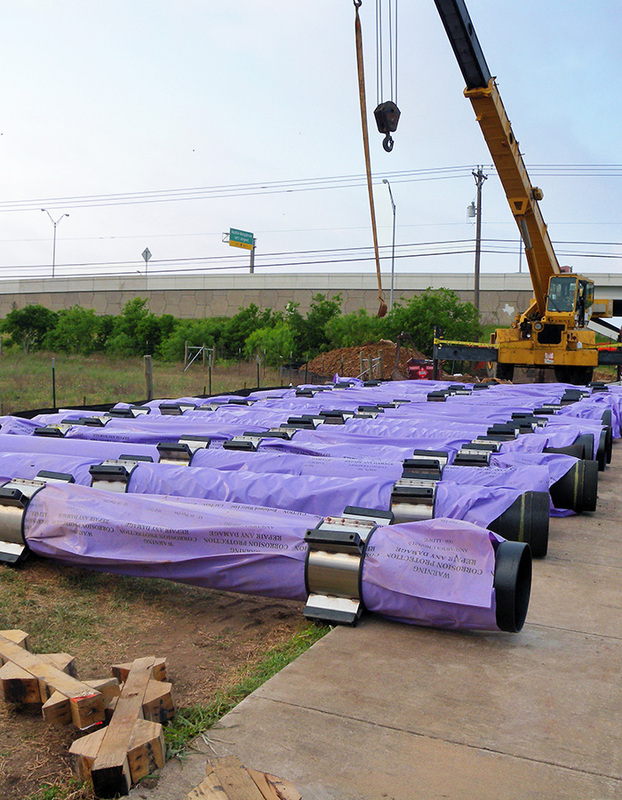 The city of Austin desired an expansion of the reclaimed water system to serve the Austin-Bergstrom International Airport for supplying the airport’s irrigation systems and central plant chiller as a continuation of its reclaimed water system network. 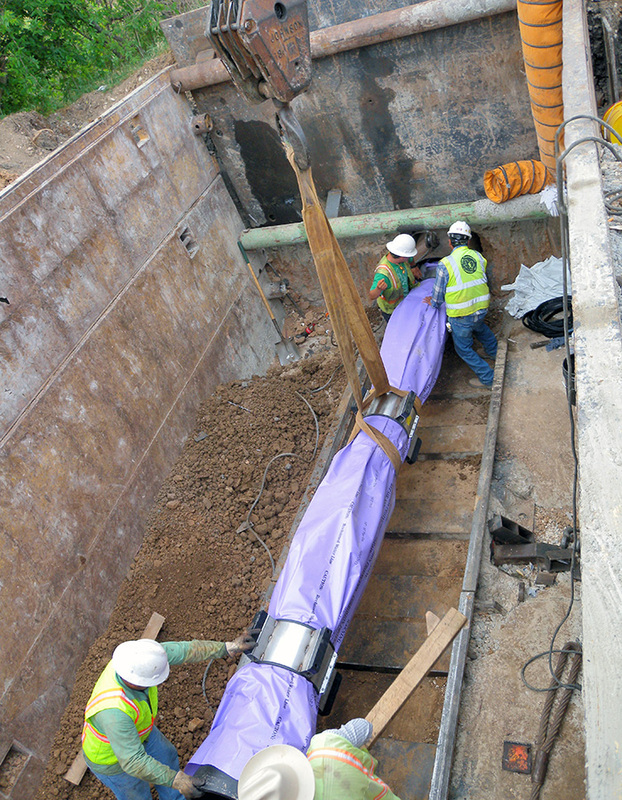 The ABIA Reclaimed Water Pipeline Extension project consisted of approximately 8,500 LF of 16-inch diameter pipe, a horizontal directional drill crossing of the Colorado River, a jack and bore crossing of SH-71, and conversion of the airport irrigation and central plant to reclaimed water service. 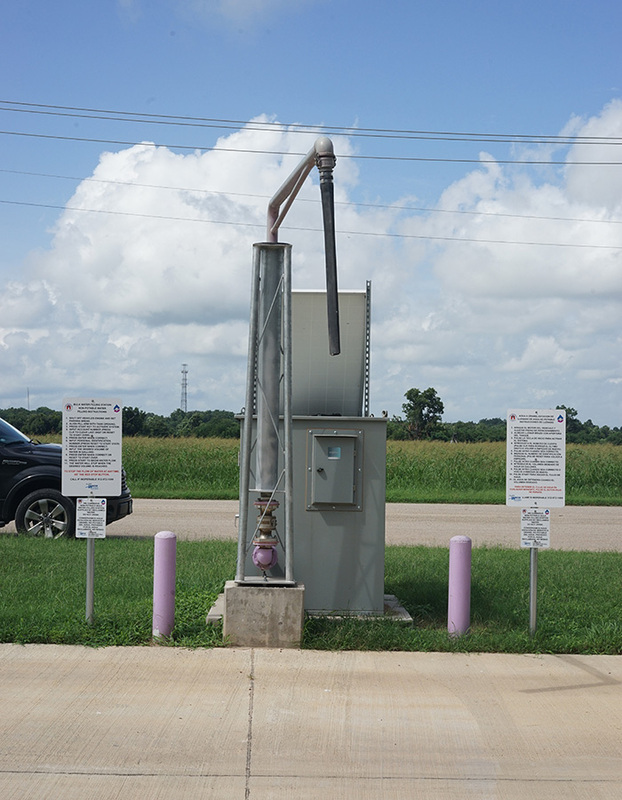 Also included in the project was a new bulk water filling station that provides reclaimed water for construction activities in the area. During the preliminary design phase, KFA prepared a final alignment that started at an existing reclaimed main at the Hornsby Bend Biosolids Facility then ran across the Colorado River, crossed SH 71 and to the airport entrance where it tied to the existing irrigation meter. KFA proposed that the Colorado River crossing be installed via horizontal directional drilling under the river. This method eliminated the need to work within the river and solved the problem presented by the over 100-foot tall cliff on the south side of the river. Additionally, the design team was required to plan and design the conversion of the irrigation and chilled water systems to reclaimed service. This required the addition of reclaimed service lines and backflow prevention to connect the various areas of the airport to reclaimed service. 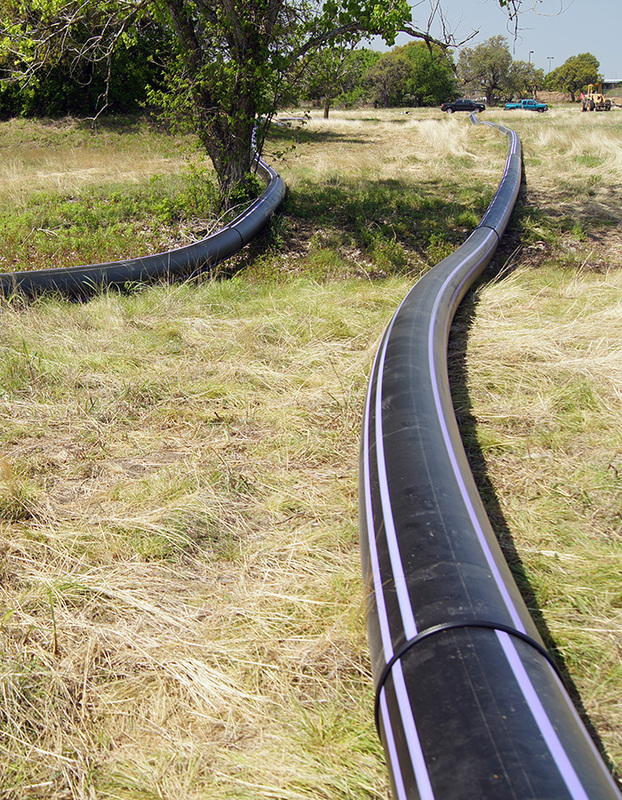 The construction documents required extensive system testing to ensure that no cross connections of the reclaimed and potable systems would be created as the result of the construction and conversion. KFA permitted the project through the city of Austin and obtained permits from the Texas Department of Transportation for the crossing of SH 71. KFA provided bid and construction administration services as required by the city of Austin. The project was successfully completed with extensive coordination between KFA, the Water Utility, ABIA, and TxDOT. The completed line has allowed the airport to save significant money on their water bills with the irrigation system converted to reclaimed water service, and the expansion of the reclaimed water system has allowed the Water Utility to reduce demand on its potable water system. 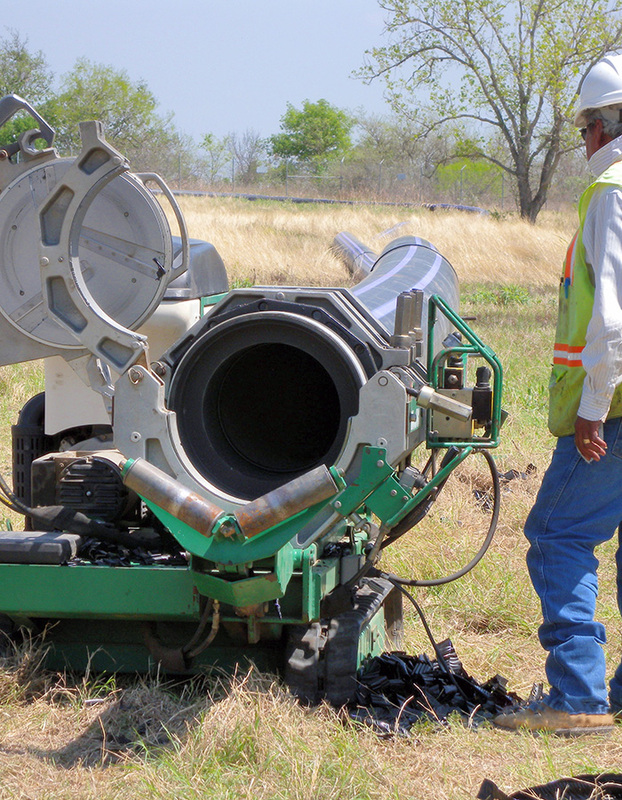 Expansion of the city of Austin’s reclaimed water system to the Austin-Bergstrom International Airport. Approximately 8,500 linear feet of 16-inch diameter reclaimed water main, including trenchless crossings of the Colorado River and SH 71.